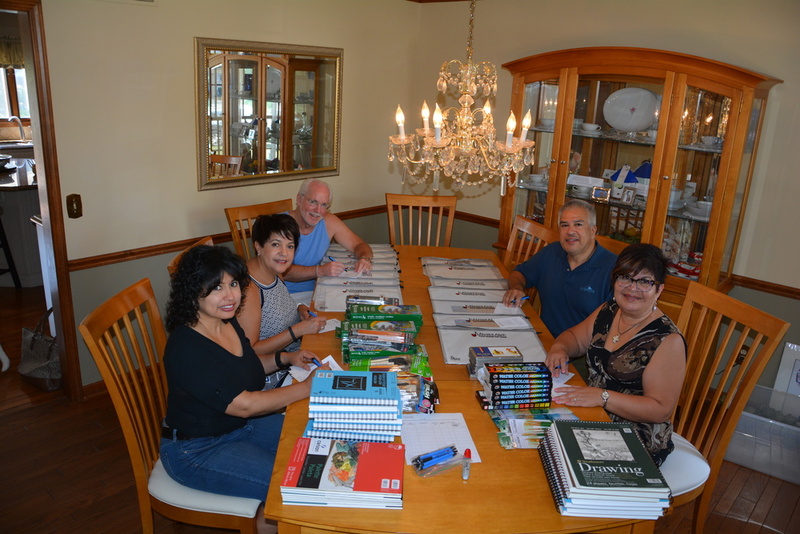 A week ago, a group of volunteers came to the Alvin House to prepare Alyssa's Starter Art Kits (SAKs). Some of the professional art supplies were previously donated to Alyssa Alvin Foundation for Hope and some were purchased to create Alyssa's SAKs. Alyssa's SAKs included an art bag, canvas, paints, brushes, palette, colored pencils and sketch paper. Each art bag had Alyssa's Foundation Logo hand written on it. The volunteers also wrote a special note for the recipient of Alyssa's SAKs. 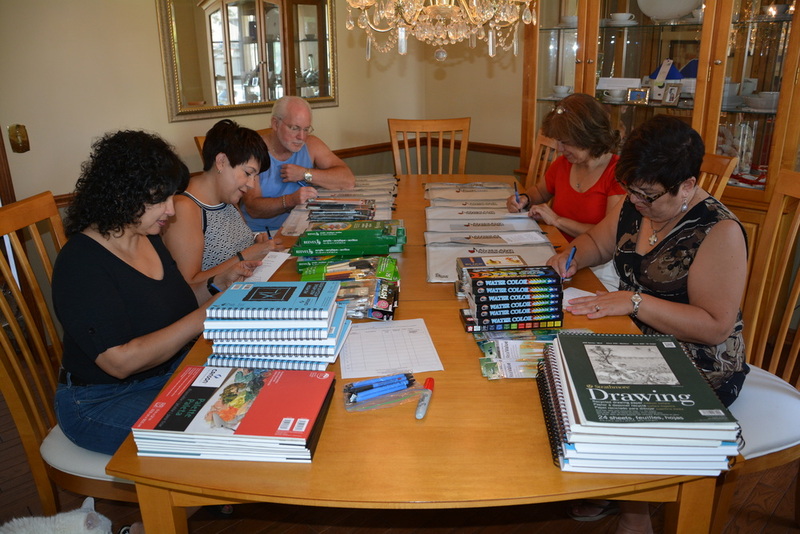 The volunteers prepared 15 of Alyssa's SAKs; 8 for young adults & 7 for young teens. It was a fun experience for the volunteers and they enjoyed lunch with the Alvin's. 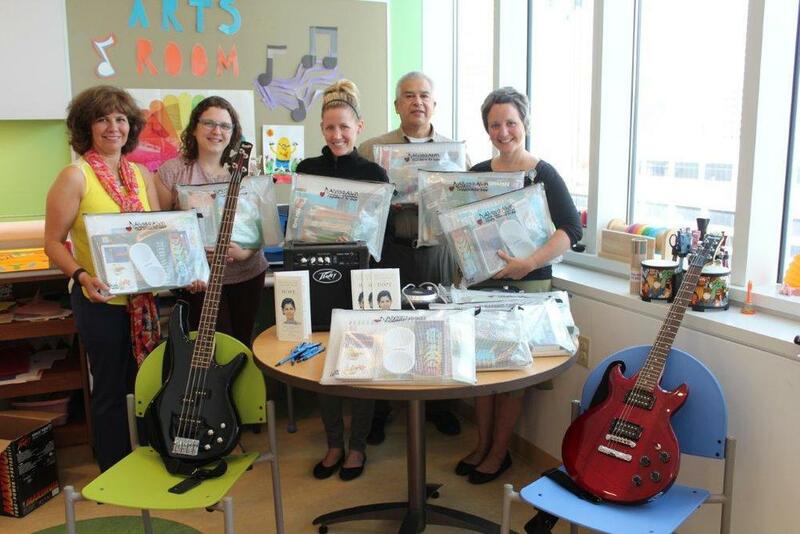 On Thursday, August 20th, George and Yoli delivered 10 of Alyssa's SAKs to Lurie Children's Hospital of Chicago. We also delivered 4 more musical instruments (electric guitar, bass guitar, amplifier and DJ Mixer. Both the Music Therapist and Art Therapist welcomed us. Here's an excerpt from the letter we received from Lurie Children's Hospital Staff - "you create a better, brighter and more fun healing environment for our children. It was so nice to see you and we truly appreciate the time and dedication it took to get Alyssa's SAKs together and delivered to us". 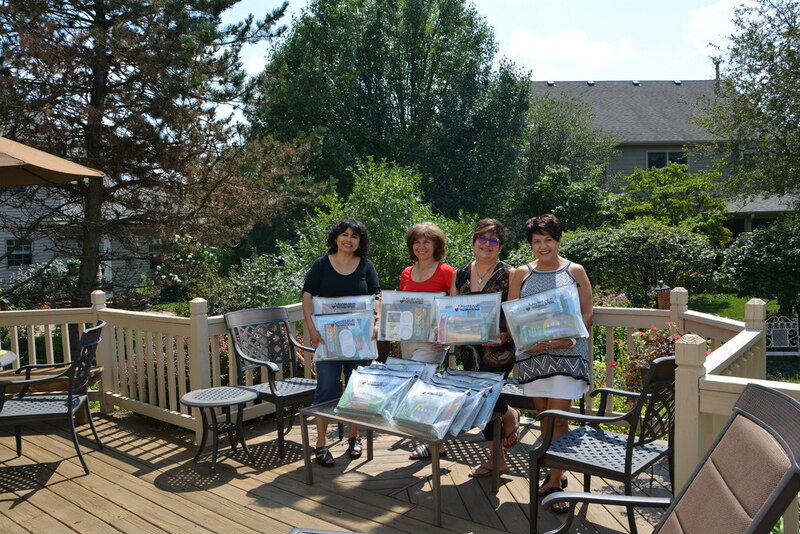 On Friday, August 21st, Yoli delivered 5 of Alyssa's SAKs to Ronald McDonald House near Central DuPage Hospital and 3 more musical instruments (2 electronic keyboards and 1 flute).